There will eventually be dozens of case studies available in this Toolkit. You can search to find the most appropriate examples in several ways. For instance, if you are keen to explore examples of homes that are low cost, and built in a rural area, click on the relevant icons below – this will sort the case studies and identify the Exact Matches, followed by the Possible Matches. You can view the case studies in a grid form, or as a simple list. If you are not sure where to start you can simply call up a full list, or look at a map to identify them by location. There is a short Summary provided for each case study, and beneath this a series of icons that identify the project initiator; the size/scale of the project; if it is in a rural, suburban or urban location; whether it is low cost, intermediate cost or high cost; if it is group project (or aimed at individuals), and the built form (eg detached, terraced or apartments). 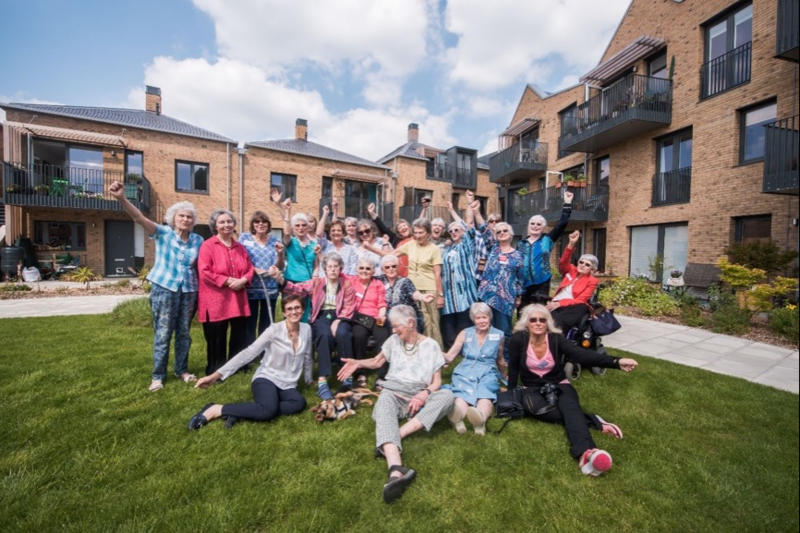 This is the first senior cohousing scheme completed in the UK, Older Women’s Cohousing has created a site with homes for 26 single women aged 50+ who want to mutually support each other in later life. The development at Beauly features ten self-built affordable homes enabled by the Highlands Small Communities Housing Trust (HSCHT). The Trust has, for many years, provided serviced self-build plots to low-income households in rural areas across the North of Scotland.